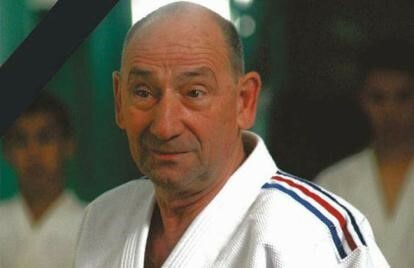 With great sadness in our heart we inform ju-jitsu community that Eugene Domagata passed away on 11 September 2017. It is very depressing to know about the death of any known person but is very painful when the person is our own close friend. A friend in life plays a very important role and we always remember the moments enjoyed with Eugene. We know for certain that we never lose him, even to death. Eugene continues to participate in every act, thought and decision we make. His friendship and love leaves an indelible imprint in our memories, our lives have been enriched by having shared his love and friendship. Eugene, a man with passion about science and human relationships, psychology and sociology, was a great trainer, teacher and expert in transmission of knowledge and skills, manager, consultant and professional coach, he was teacher of teachers in the field of martial arts and trainer of trainers in the sport, and the security of people and property. Eugene spent almost all his life to serve the sport and martial arts society in all continents. He served his country, France, with honor and loyalty as a soldier, as a scientist and as a distinguished citizen. 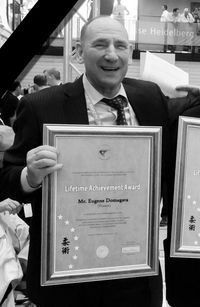 As a teacher in martial arts with his unique simplicity, humor and scientific methodology, was able to teach in all levels, from children to high class trainers. As a trainer/coach in sport, led to top-level many athletes and teaches many coaches how to reach the same level. As a director/manager, led Ju-Jitsu in Europe and in International Federation to the road of success, by teaching, organizing and consulting in a transparent, ethical and open way. 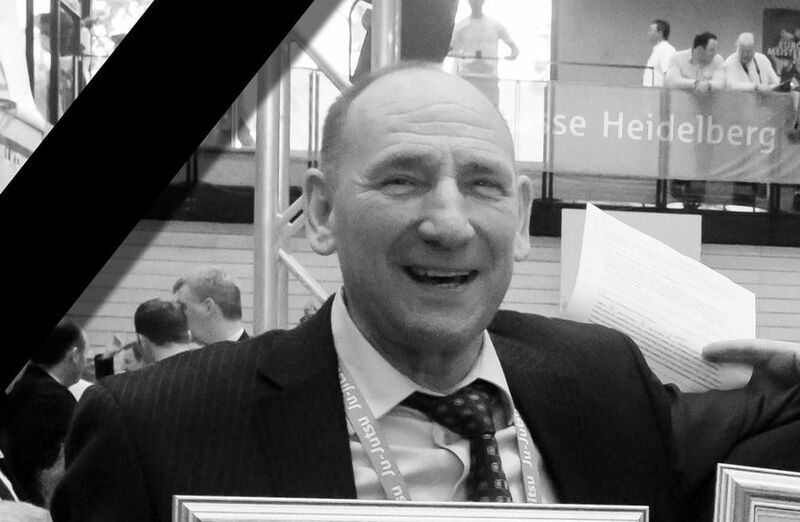 We have lost our great friend, a man with great heart and vision, a true professional, expert, and humanist, devoted Ju-Jitsu practitioner, teacher and sensei. We express our deepest feelings of sympathy to Eugene’s family. Good bye Eugene, may God bless your soul to rest in peace.